In my poker play recently, one particular thing has come to my attention. I’ve noticed that the vast majority of beginning and intermediate players badly misplay hands in which they flop a monster. This initially might not seem like too big of a concern to you: if I have the deck crushed, how can we I wrong? But when it comes to either taking a huge chunk out of your opponents’ stack or missing out and not winning anything, then it can be very important. The typical thought process goes something like this. The player flops a monster and immediately thinks he will earn more by slowplaying. He will check, waiting for his opponents to catch something so he can take their whole stack. There are a few possible problems with this idea. First, it represents a reluctance to bet out of a fear that the opponent will fold. If you are in position, your bet doesn’t necessarily mean strength at all; on the contrary, players will often think you are just continuation betting and will stick around to see another card. They might even get tricky and try to take the pot away from you with a check raise. If you check right behind, you’ll miss out on these bets. Another common situation when you are in position involves an opponent who has actually hit a big piece of the flop himself. Instead of donking out with a bet, he will often opt to go for a check-raise himself. If you respond by betting out, he might make a big play and you could find yourself all-in on the flop. On the other hand, if you check behind, the turn might change things. It could be a scare card for your opponent and cause him to put on the brakes. All that money that would have gone into the pot on the flop with you as a big favorite is now a lost cause. Also, even if you have a monster on the flop, you will rarely have the absolute nuts. There are almost always outs for your opponent with things like backdoor straights or flushes. By slowplaying, especially in a raised pot, you are giving them a free shot to outdraw you, which is a pretty good proposition for them. 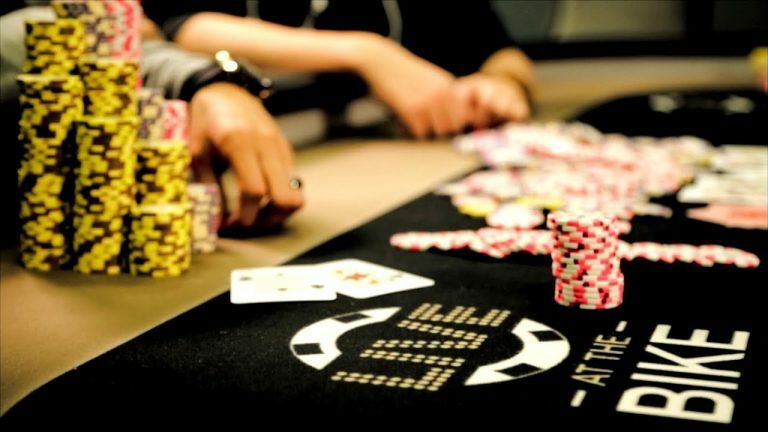 You might not double your stack every single time you flop a monster, but if you could find yourself a big loser if you regularly fail to make a move. In no limit games, this can be devastating. In general, players often think they are being expert and sneaky when they automatically slowplay their big hands. But the truth of the matter is they are easier to see through than they might think. Observant opponents will learn that you are betting big every time you’re trying to push someone off the hand and checking when you have a hand!